Catherine Robinson is a member of the immigration team. She has a wide range of experience in this field, this includes representing clients at all stages of the immigration and asylum process. Catherine’s immigration practice encompasses personal and business advisory work. Catherine regularly appears before the First-Tier Tribunal and Upper Tribunal in immigration and asylum appeals and bail hearings. Catherine has extensive experience of drafting judicial review grounds and applications for permission to appeal to the First-Tier Tribunal, Upper Tribunal and Court of Appeal and also undertakes unlawful detention work. As part of her ongoing commitment to this area of law Catherine is keen to represent vulnerable individuals within the immigration system. Catherine has acted on a pro-bono basis as junior counsel for the AIRE Centre in SM (Algeria) v Entry Clearance Officer UKSC 9 and Khan v Secretary of State for the Home Department  EWCA Civ 1755. She continues to be instructed as junior counsel in the reference for a preliminary ruling to the CJEU in SM (C-129/18). The instructing solicitors in these cases are Herbert Smith Freehills LLP and the senior counsel are David Chirico and Aidan O’Neil QC. Catherine participates in the Bail for Immigration Detainees duty advocacy scheme. From 2014 until 2018 Catherine was a trustee of Migrants Resource Centre (incorporating Asylum Aid). She was previously a member of the Management Committee of Lambeth Law Centre. 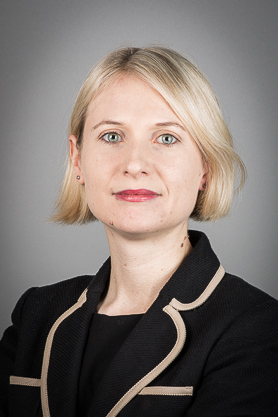 Prior to joining 1 Pump Court Chambers, Catherine was an immigration solicitor at Fisher Meredith LLP for 5 years. Her experience included: judicial reviews; appeals at all levels; and fresh asylum and human rights claims. She had a wide range of clients including: individuals needing personal and business immigration advice; victims of trafficking and domestic violence; those considered to be a risk to national security; and unaccompanied minors. Catherine completed her training contract at (as it was then known) Herbert Smith LLP, an international law firm. “Respected junior who regularly acts in complex, high-profile judicial review proceedings concerning deportation. Her impressive caseload covers areas such as asylum and refugee law. Respected junior who regularly acts in complex, high-profile judicial review proceedings concerning deportation. Her impressive caseload covers areas such as asylum and refugee law. She has recently acted in matters concerning the application of EU law in the context of cases concerning complex reunification of extended family members. The Aire Centre were given permission to intervene to address the lawfulness of the Upper Tribunal's determination in Sala v Secretary of State for the Home Department (EFMs Right of Appeal) . Challenge to a negative conclusive grounds decision from the competent authority in relation to whether claimant is a victim of trafficking. Judicial review of the SSHD’s decision to certify the Claimant’s asylum and human rights claim as clearly unfounded. Judicial review of the SSHD’s refusal to consider an in-country application to revoke a deportation order from an EEA national and a decision to certify the Claimant’s human rights application. This case started as a delay challenge to the SSHD’s failure to consider the Claimant’s case under the legacy and then became a challenge to the SSHD’s refusal. Chapter considering the implementation of the Council of Europe on Action against Trafficking in Human Beings in Northern Ireland.